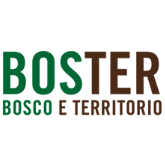 Boster combines Bosco (forest) and Territorio (territory). It is the biggest Italian outdoor international event focused on the enhancement of forest resources and the sustainable management of the mountain territory. This year Boster North East takes place in Carnia Loc. Lakes of Timau, Paluzza (UD) 15 to 17 September. Meet partner CoNaIBo to pick up our flyers in Italian and check the poster for details!